Avadhoota Nadananda an authority in ‘Samaya Marga’ or ‘Srividya’* and *Keralacharam’ is born in a Traditional Saktha Namboodri Family and had ‘Poornabhisheka’ with Umanandanatha as Deekshanama. Swamiji, for his practices in ‘Srividya’ in both ‘Kaula’ and ‘Samaya’ margas of ‘Dakshinachara’ for a period of 45 years in conferred ‘Peedhathipathi’ of Kashmira Peedha of ‘Srividya’. Presently Swamiji is the Head of ‘Srividya Gyana Peedham’, Kathua, Jammu and Kashmir and ‘Srividya Anusanthan Nyas’, ‘Panipa Haryana’. Swamiji is bestowed with the title ’Srividya Kulaagraja’ by High authorities of ‘Srividya’ tradition for his 12 years of research works on ‘Spandas of Sarvanandamaya Chakra’ (Vibrations on Bindu). Swamiji travelled extensively all over India especially in Himalayas, Nepal and Tibet to meet Rishis and Scholars of Srividya with regards to the Research work. A devoted disciple should never worry for his food, shelter or anything; the Guru will take care of the disciples and their needs too. From the Book "The science and essence of Srividya"
Red Circle is the Bindu of Sri Chakra. When the Bindu vibrates, first two vibrations make the form of a Shotkona, Upward yellow and Downward Red, which represents Shiva (Pure Consciousness) and Shakti (Awareness). It repeats 9 times. Shatkona repeats inward 9 times and end with the Bindu which is a symbol of 9 levels of consciousness and the final bindu is awareness or CHITI. 9 levels are closely related to 9 nadas and 9 rasas. This CHITI yantra revelead to author in his “Savikalpa Samadhi” experienced during the research on the Divine Pulsations of Bindu. Some yogis consider chiti as a synonym of mahat, but theosophic philosophy considers mahat the root and base as well as the germ of chiti. Chiti is manas functioning under the illumination of buddhi, and therefore becomes discriminative or intuitive understanding, on organic activity as contrasted with abstract or pure thought or consciousness. This function when developed makes of the human intermediate nature an entity virtually identic with a manasaputra, and thus attracts by spiritual affinity guardian spirits or chitkalas, synonymous themselves with manasaputros. From Outer Bindu to Inner Bindu by churning the ocean devatas got the Nectar (Amrut). To get the Essence and Science of Srividya, by his research the author was churning the ‘Srividya Maharnava’ for a period of 16 years and got the inner bindu, the cause of the causes, the Brahmic stithi. It was of course, a strenuous task and the ‘Amrut’ of Srividya is ready to serve to the eligible. Author presents this full and final contemplative study on Srividya for the sake of Sadhakas. This study is based on ‘Kerolaacharam’ — Kadi Vidya — for Adi Sonkaracharyo is the exponent of this school of thought — the practical system of experiencing the Advaita. Namboodiri brahmans of Kerala (especially of Travancore — (South Kerala) belong to this lienage. Sadashiv to Avadhoota Dattatreya to Maharishi Prashuram to Sankaracharya to Namboodiris is the ‘Parampara’. This tradition exists in the present time too. Both ‘Kaula’ and ‘Samaya’ (external and internal) worship is one of the rare specialties of this parampara. This is a way of Practical Advaita (Brahmi stithi) by Antar Yoga (internal worship — Kundalini yoga) (Samaya marga). External rituals + Internal bhavana (Kaula + Samaya) + Yoga + Bhakti is the another specialty of this tradition. This system is also being practiced by other Dravidas of South India. Parasuram Kalpa Sutra, Nityotsavo, Bhavonopanishad, Saundaryalahari are of few basic scriptures for this tradition. Chatur amnaya Muffs of Adi Shankara (Advaita) Sanyasis also follow this Keralacharam. Cheena, Vanga, Kashmira acharas of Srividya Kaula traditions also developed on the basis of this and being practiced with little differences. Under the guidance of a ‘Poornabhishikta’ Srividya guru, through ‘Kroma deeksha’ in Kalula or Samaya (external & internal) morgas an adept can reach the ‘Advaita Siddhi’ (SOHAM stage), which is ‘Nirvikalpa Samadhi’. This is part II of author’s work ‘Secrets of Srichakra’ published by ‘Srividya Anusanthan Nyas’ in 2004. Part I deals with external understanding of Srichakra and the present work is on the ‘Science and Essence of Srividya’. 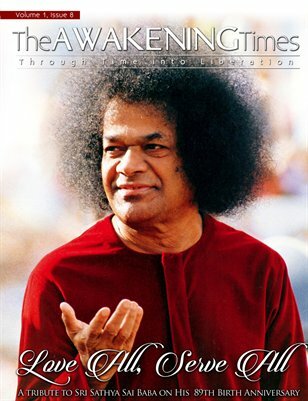 Author thanks to all his disciples and devotees who extended their ‘seva’ during the period of his research works. May the Maa, Lalitha para bhattrika srimat Mahatripura Sundari, shower her blessings to one and all. Plot No : 294, Vishnu Township Kurnool. Siddhaganj is an Ashram of Pujya Guruji Avadhoota Nadananda. Pujya Guruji has done sadhana in Himalayas for 35 years and reached Gyanganj, the Abode of Siddhas of Mahavathar Baba parampara. After reaching the highest state of sadhana and as per the wishes of Gyanganj Gurus, Guruji came into the external world to bless people in Agnana, with Gnana of Self realization. Guruji’s concept is “Seva of the needy is real Sadhana“. Ashraya Trust is formed as sister concern of Siddhaganj, toorganise seva programs. A main project of Ashraya Trust aimed to provide at least one time food mainly during nights to the destitutes and street dwellers at various parts and footpaths in Kurnool town. Initially it was started with 300 packets of food which now reached to 750 packets a day. It is going to be expanded depending upon the funds position. Now the devotees of Siddhaganj are providing funds besides doing voluntary service. Present expenditure per day is Rs.5000/- . Devotees are donating on the occasions of their birthdays, Marriage anniversaries etc. This can be accomplished by making deposit of Rs. 50000/- in corpus fund to meet one day expenditure in every year. The trust is organizing medical camps every Sunday at Geetha Mukharjee Nagar and a Mobile dispensary van is visiting selected colonies in Kurnool. Free medical service and free medicines with the help of doctors. One water purification plant is installed in a slum area and providing 10000 litres of water every day. Besides the above many seva programs such as Bala Samskara Kendra, Ugadi seva program for pilgrims going to Srisailam by walk are also been conducted by Ashraya Trust. Manav Seva Samiti Dhar, a spiritually oriented, non political, non religious, non profit making Service organisation, working at Dhar (M. P.) for the four fold development of depressed, deprived, humiliated, tormented, suffering people in and around the city. 1. Daily morning food distribution to Street dwellers at Dhar city. Approximate 350 food packets being Distributed daily. 2. Weekly free medical check up and distribution of free medicine and follow up treatment. Saturdays only. 3. Sunday school for children of age group of 3 years to 12 years. Sanatan sanskruti being taught through songs, bhajans, lectures in addition to routine school syllabus. Food being distributed to the children. Average attendance is 55. 4. Spiritual sadhana at Seva Samiti Prayer hall daily morning and evening. Periodically Utsavas also being conducted. BE WITH US, TOGETHER WE CAN! Srividya - a pooja method worshipping Mother Goddess. Nice description in brief about Avadhoota Nadananda Swamy and his accomplishments and running Seva Karyakramams. His principle is “Seva hi mama Dharma.” His meticulous planning, flawless and time disciplined execution of the seva programme or ritual must be seen to believe. Everyone who visits him feel at ease and home. Caste, region, language, big, small, great, gender and all such human imposed values become nought in his presence. A great feeling, a great reassurance and a great solace one gets when one meet him. With Pranams, I remain. Hi me and my mother complted the part 1 book about avadhutha nadhandha swamy now we are searching for part 2 in telugu please let me know where to find. Please contact http://gurulight.com/ and order your copy! Please guide us we both wife and husband wish to have darshans of Sri Sri nadananda swamiji and have mantropadesha. We wish to go into this route and again to have a perfect darshans after practice. I am 61, and my wife is 54. Please guide us in this route.